In Finland, the national core curriculum plays an important developmental role in the school system. The curriculum serves as an administrative steering document, but it also sets out objectives and core teaching content for all subjects. The core curriculum for the basic education level was renewed in 2014 and for the upper secondary school level in 2015. The renewed curricula identify seven cross-curricular competence areas for basic education and six for upper secondary education (Table below). In both cases, multiliteracy is included as one of the transversal cross-curricular competencies. In the Finnish national core curricula, multiliteracy is defined as the competence to interpret, produce, and make a value judgement across a range of different texts, helping students to understand different modes of cultural communication and to build their personal identity. The concept of multiliteracy is based on a broad understanding of “texts” as entities expressed through verbal, visual, auditory, numeric, and kinaesthetic symbol systems and their combinations. Multiliteracy does not refer to content and separate goals but is a goal in itself: a unit comprising information, competences, values, attitudes, and motives that the modern citizen should possess. In the article “Promoting multiliteracy in the Finnish educational system“, we (Rasi, Kangas & Ruokamo) define and explore the concept of multiliteracy both theoretically and practically by addressing the following questions: How is multiliteracy defined in the Finnish national core curricula for basic and upper secondary education? How is multiliteracy defined in the research literature? Based on these definitions, we elaborate in the article how can teachers promote their students’ multiliteracy through their teaching practices. In the article, we also provide an case-example in which way multiliteracy was promoted in a phenomenon-based course in the Finnish highschool. Rasi, P., Kangas, M. & Ruokamo, H. (2019). Promoting multiliteracy in the Finnish educational system (pp. 97-111). In M. Paksuniemi & P. Keskitalo (Eds. 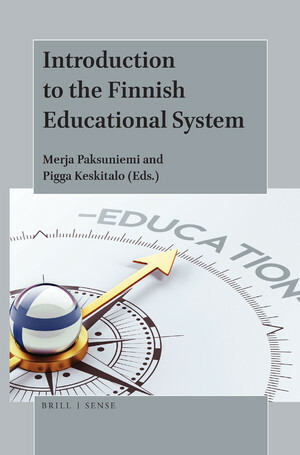 ), Introduction to Finnish educational system. Brill/Sense Publishers. Finnish National Board of Education. (2016). National core curriculum for basic education 2014. Finnish National Agency for Education 2016 Publications 2016:5. Finnish National Board of Education. (2016). National core curriculum for general upper secondary schools 2015. Finnish National Board of Education Publications 2016:8.